I've a card today over at The Craft's Meow blog using the beautiful Happiness Is and Sew Happy stamp sets, here's a little peek. 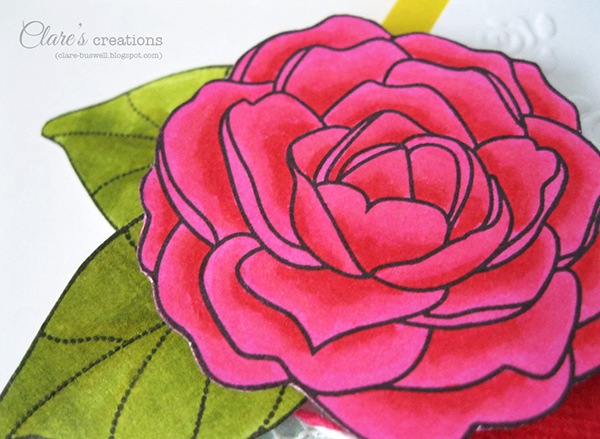 I used Distress Stains and Distress Markers to color the flower and leaves. Pop over to The Craft's Meow blog to find out more. I'll be back real soon with my CASE Study card!